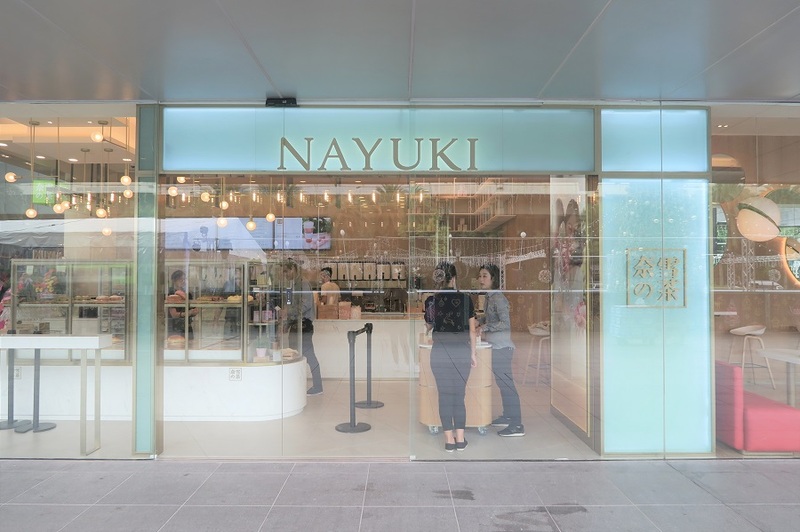 There are no signs of stopping for the Cheese Tea wave in Singapore, with the popular Nayuki 奈雪の茶 has opened in Singapore. 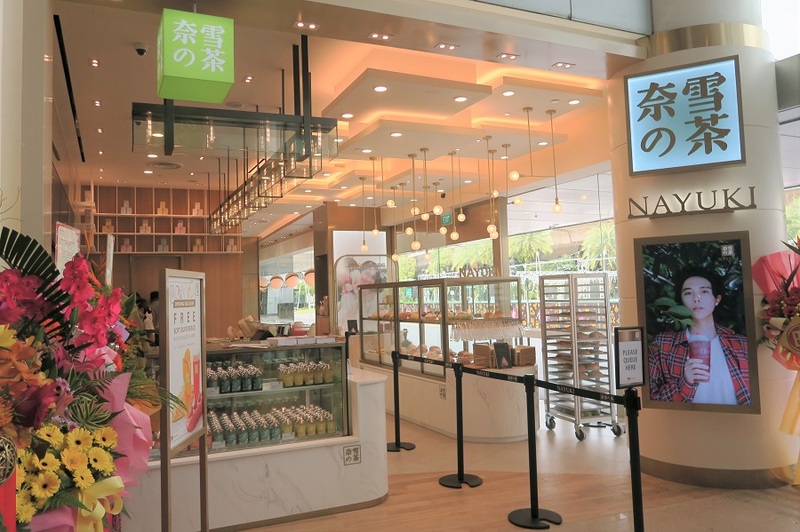 With over 180 stores across China and well-loved by celebrities, this flagship at Vivocity is Nayuki’s 1st overseas outlet. Not quite the same. 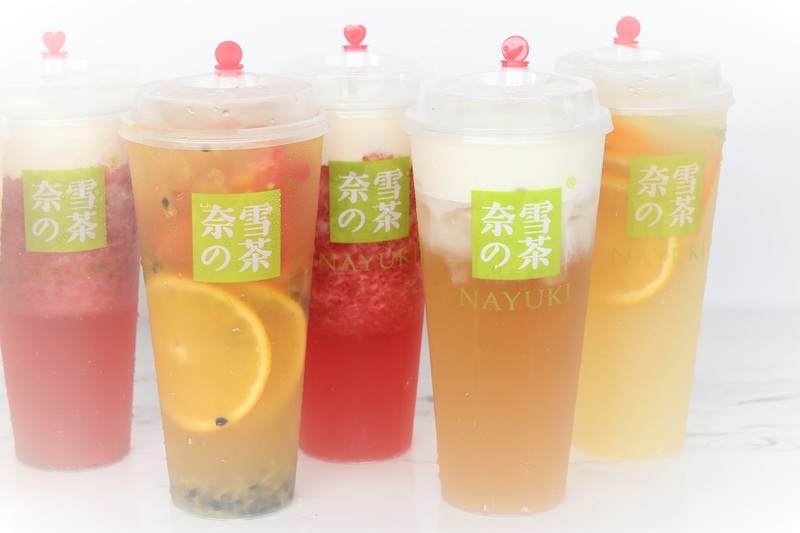 The key feature of Nayuki is that it pairs premium fresh-fruit teas and soft euro bread. 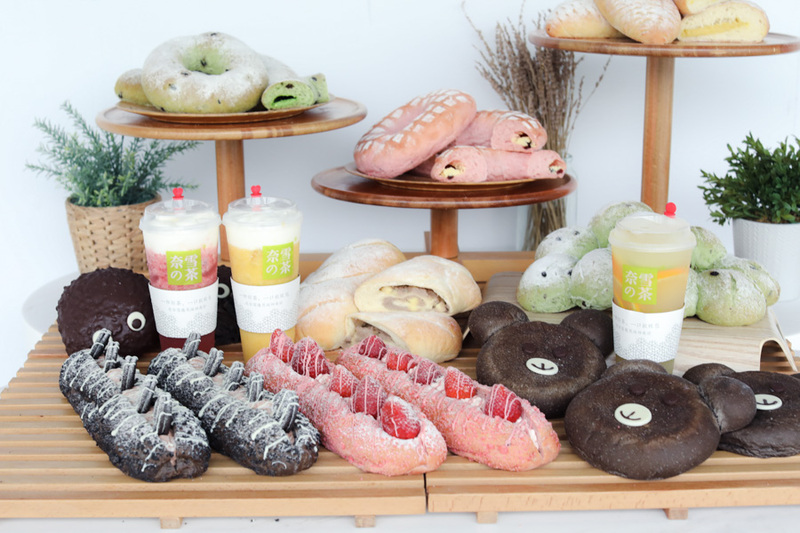 The brand is considered the pioneer of this concept, inspiring a wave of tea bakeries across Asia. 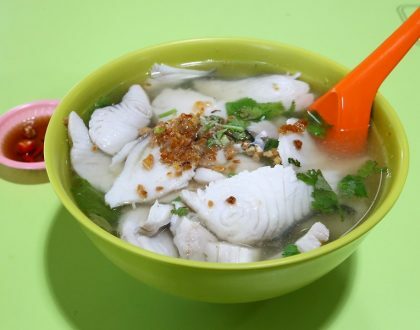 Originating from Shenzhen, the brand is considered “hapz” in China with photos of several of the products going viral on various social media channels such as Weibo. This is also not just a takeaway kiosk, but a café with stylish and comfortable sit-down area, where you can slowly sip tea and have bread. 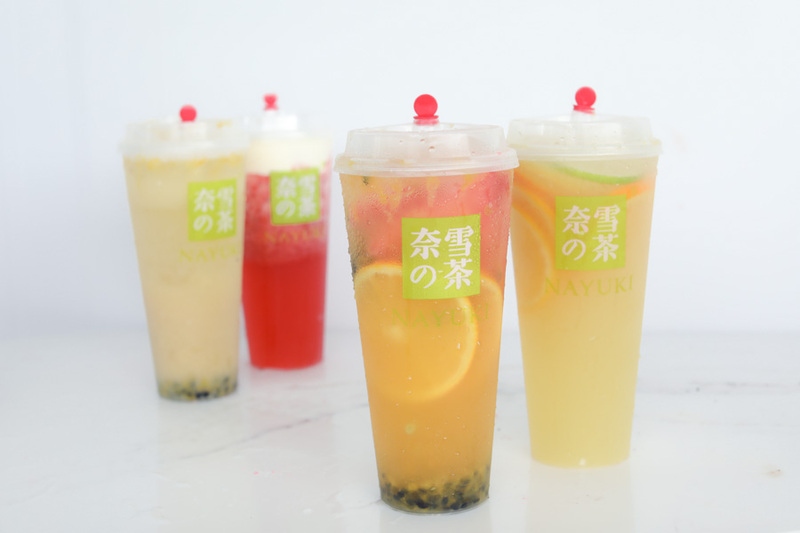 The signature products of Nayuki are the Supreme Cheese Strawberry Tea and Strawberry Blush Mystique – which is strawberry fresh cream bread. These strawberry products became so popular that the brand invested in a strawberry field to ensure premium strawberries of consistent quality are available all year round in China. As I saw the server dropping fresh strawberries, I counted at least about 10 of them inside a cup before they were blended – high antioxidants, Vitamin C and fibre alert. 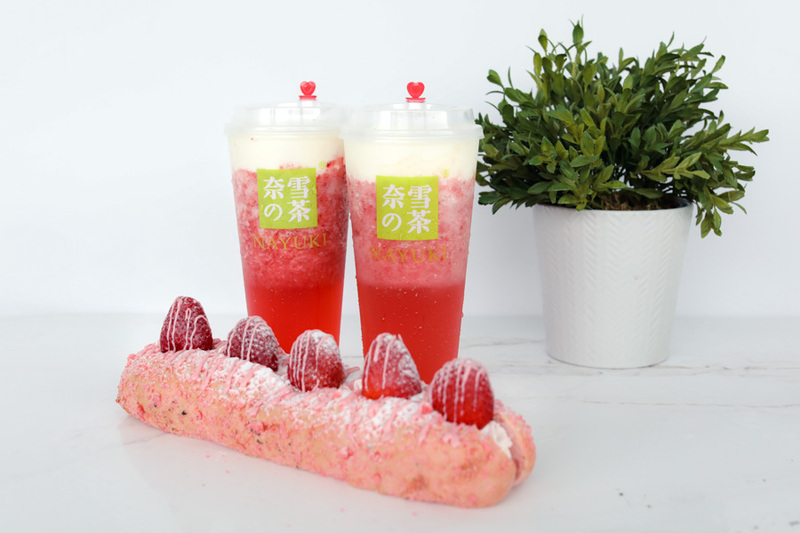 The strawberries are blended with fragrant Jasmine Tippy Tea, then topped with a cap of cheese layer. 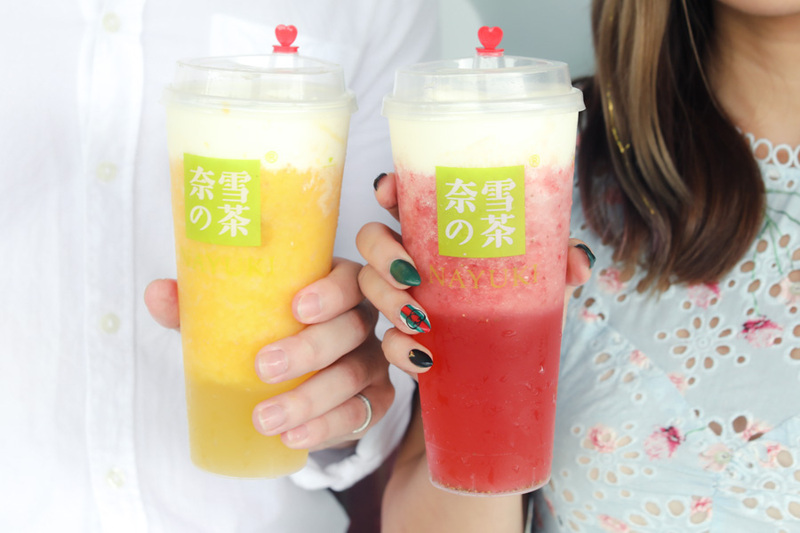 It is actually encouraged to have the drink without a straw, drank at an angle through a small opening from the cap of the cup, which is thoughtfully-designed by the brand. 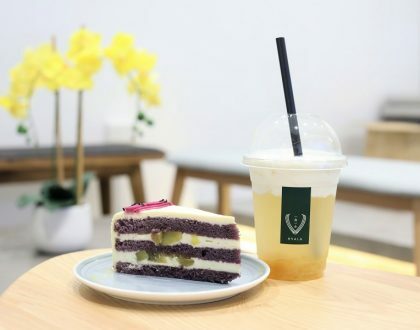 You get varied flavours sip by sip, from the slight-salty cheese cup, to the natural sweetness of the strawberries with a touch of sourness, enhanced by the fragrance of the tea. Compared to the Strawberry, the Mango had a distinctive sweetness and was invariably thicker, and could remind some of a Mango smoothie. There was a subtle taste of the tea, though it was largely over-shadowed by the rest of the ingredients, especially the saltiness of the cheese cap. Other than Strawberry and Mango, the other available choice is the Supreme Cheese Grape. The cup that ensure you get your Vitamin C. Every cup actually consists of 2 whole oranges – a fruit one sliced, and the other freshly squeezed into juice. This juice is then blast-frozen from Taiwan, for maximum nutrients and taste before it is imported into Singapore. There are also additional fresh lemon slices, ensuring citrusy goodness. 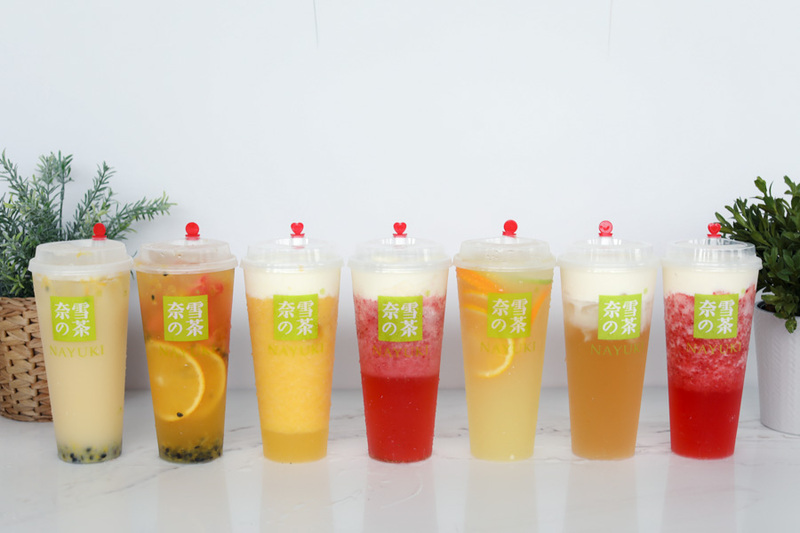 My favourite cup from the “Supreme Fresh Fruit Tea” series, as it is especially refreshing with various elements from the different fruits – citrusy-sweetness from the orange slices, crisp-fruitiness from watermelon, and passionfruit providing that light tartness. 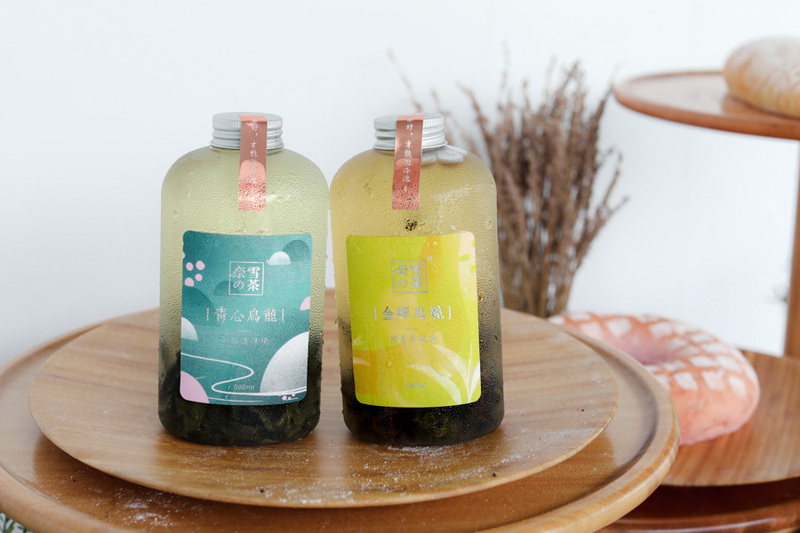 The Alisan Mountain Dew Tea used by Nayuki is an award-winning tea type, which won first prize in the Taiwan Winter Tea Competition. The tea buds are first handpicked with precision before sunrise when the leaves are still covered in morning dew, then roasted at a low temperature for 40 hours to bring out its floral scent. High elevations of the Alisan mountain also results in higher concentration of flavour-producing components in the tea leaves. The tea itself has a natural hint of sweetness, light orchid aroma, and mellow lingering aftertaste. Very pleasant. I must say that these Cold Brew Tea are very well packaged. I love my Iced Oolong Tea (kosong sugar), and have gotten my new-found love. The loose tea leaves are steeped for 12 hours to gently extract flavours, resulting in full-bodied tea with floral aroma. You could even see the tea leaves within the bottle. And with the special filter at the spout of the bottle stops them from coming out. As you finish your drink, check within the bottle for a witty-inspiring poem and surprise. Since Brown Sugar Milk is all in trend right now… Nayuki’s version comes in a sleek bottle. 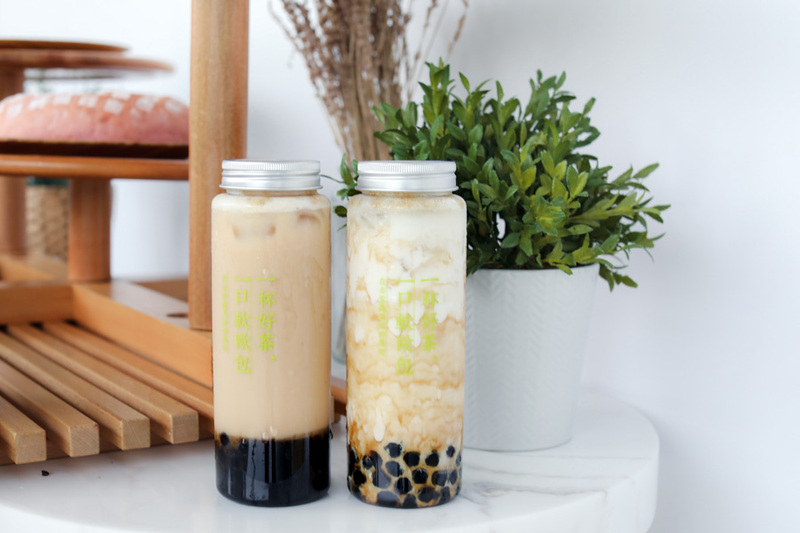 What you get is fresh milk topped with chewy tapioca pearls steeped in rich brown sugar. It is recommended to first take sips of the pearls to experience the aromatic caramelised brown sugar first before shaking. 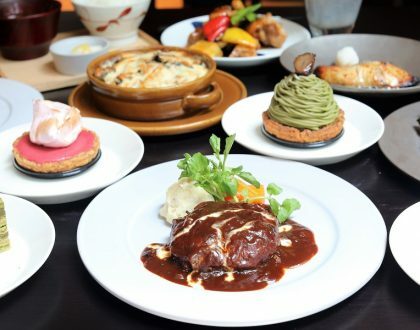 I was initially quite surprised at the size, and this could possibly to share among 2 to 3 people. 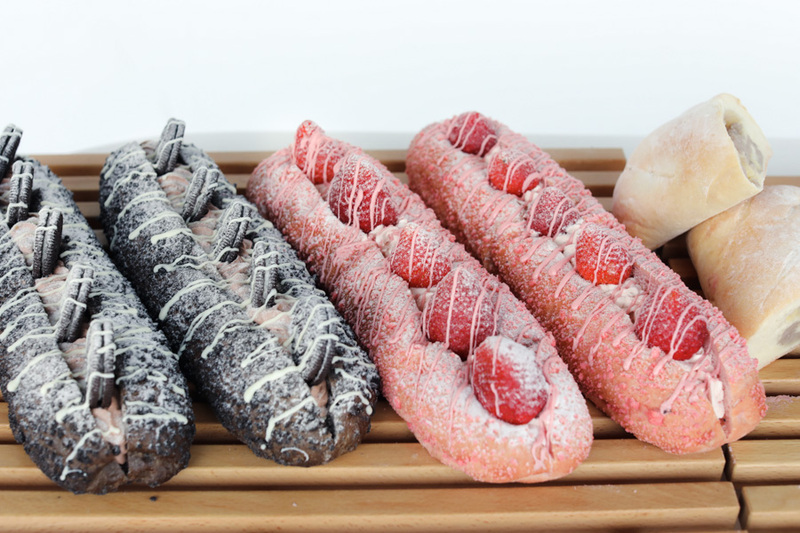 The bread is called “Mystique” as the Chinese name literally means “Strawberry Magic Wand”, of soft bread piped with strawberry cream in the middle, topped with 5 strawberries, drizzled with strawberry chocolate. 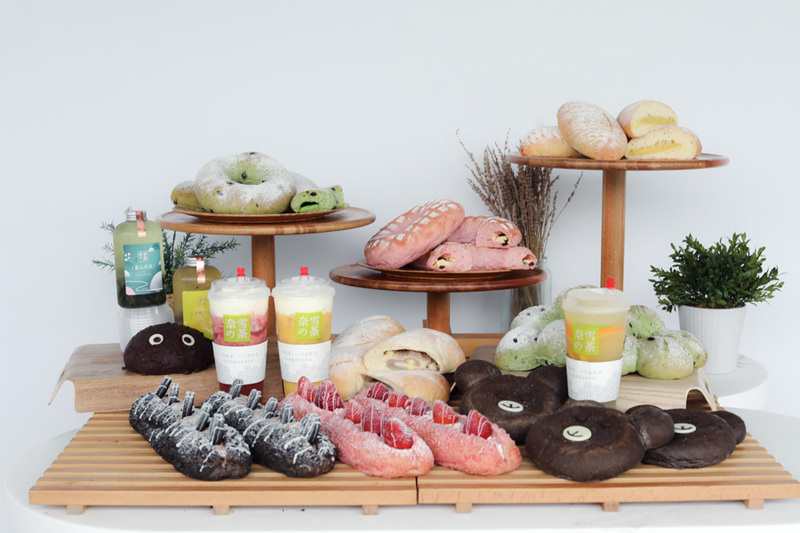 Other than its fairy-like striking looks, the draw is on how both the fluffy bread and smooth cream come together, lightly sweet with burst of strawberry flavour in every bite. 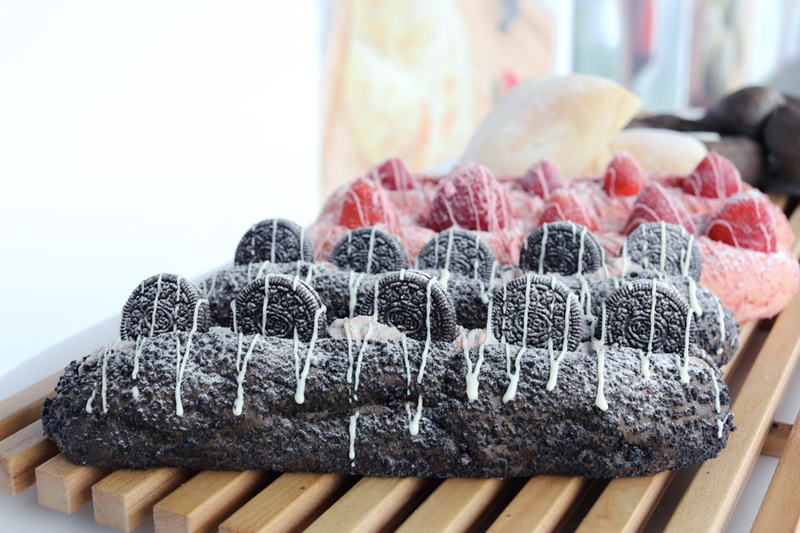 For the chocolate lovers, this bread which is piped with Oreo chocolate fresh cream, provides that rich chocolateyness, a hint of cocoa flavor, and a bit of bitterness. Filled with the Mao Shan Wang durian fruit. Only the real stuff. 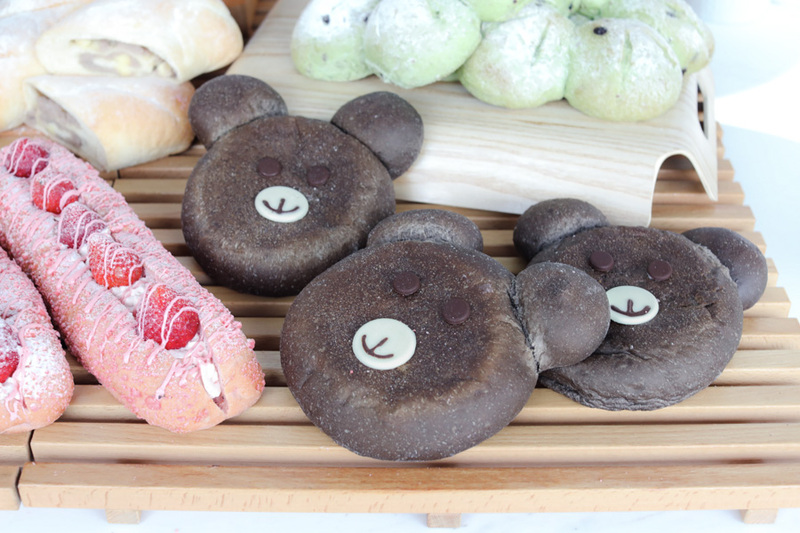 A cute mocha-flavoured euro soft bread, filled with chocolate chips and raisins. 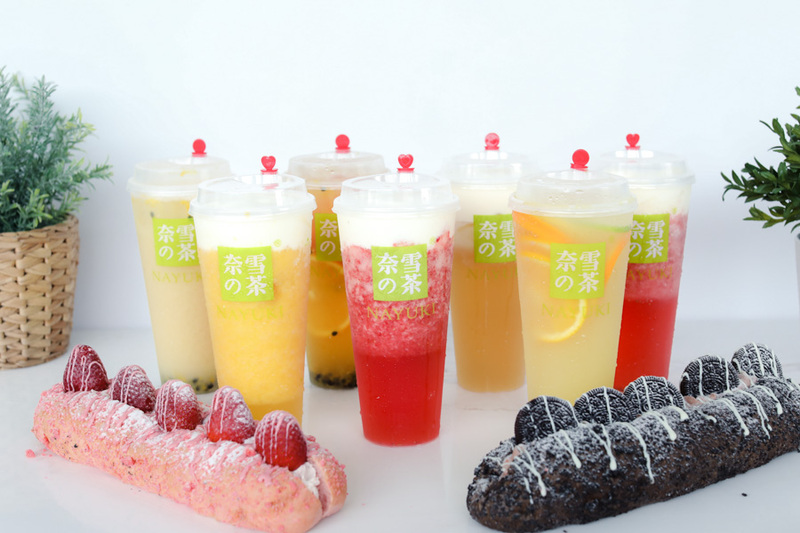 Look out for the surprise within the ears, in which you can find boba pearls and cream. Beneath those popping big eyes are fillings of fragrant and rich black sesame paste, reminding me of those Japanese goma buns. 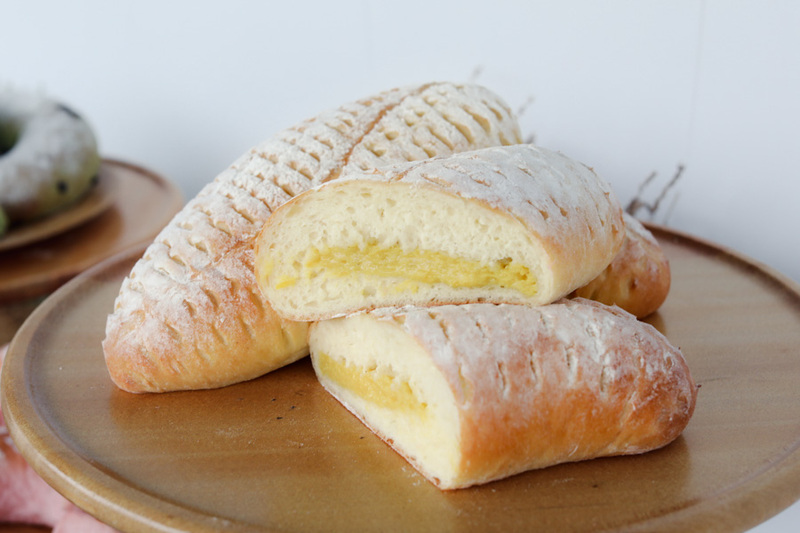 Most of Nayuki’s breads are quite large in size, suitable for sharing among family and friends. 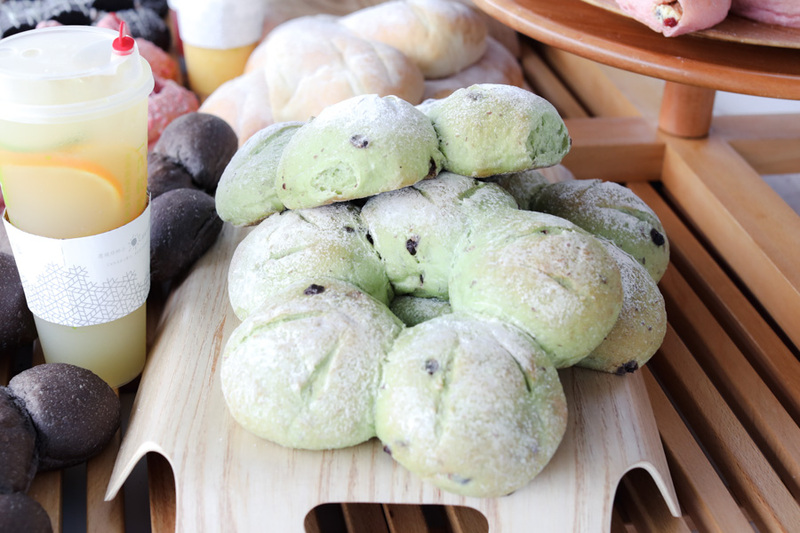 The Matcha Mochi Blossom is like a floral wreath made of five smaller buns connected together, each containing red bean and sweet chewy mochi. 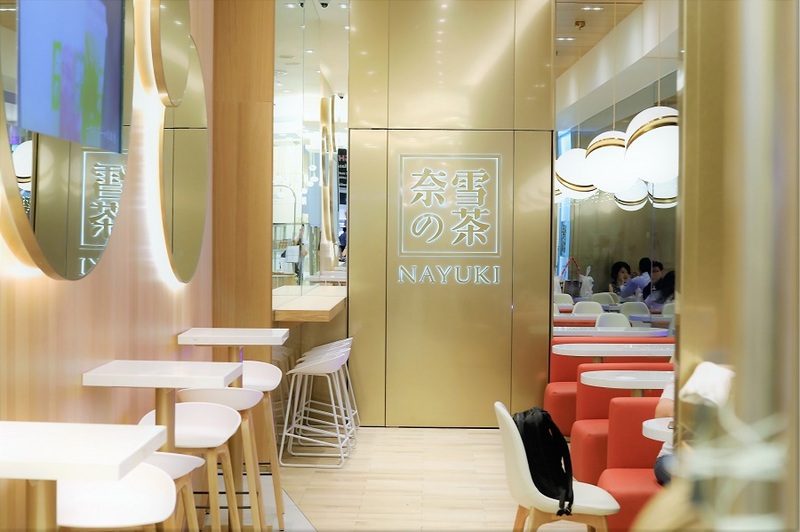 Unlike most other Cheese Tea and Fruit Tea shops, Nayuki also offers a sit-down tea café concept alike the international coffee chains. This is for consumers to embrace the lifestyle concept, that this is somewhere they can take time to savour tea paired with the soft bread. 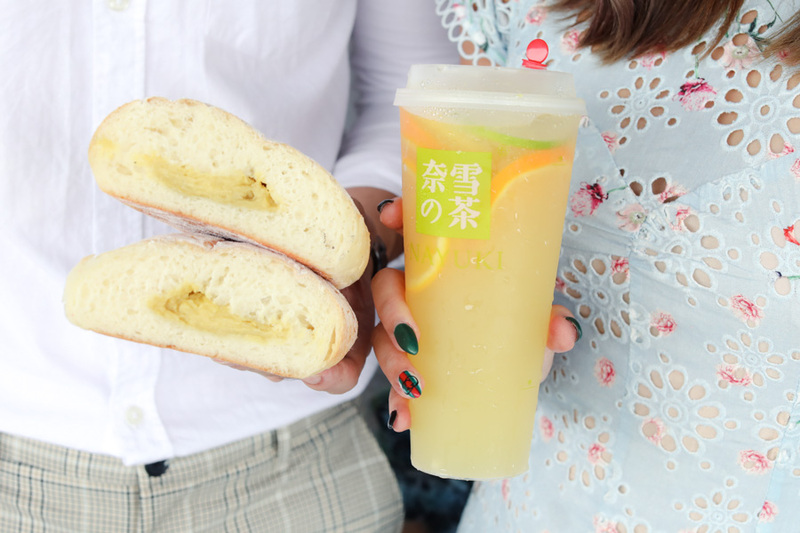 They even have a bread-cutting service, where they will slice the breads into bite-sized portions, whether you are dining in or taking out. * This entry is brought to you in partnership with Nayuki.